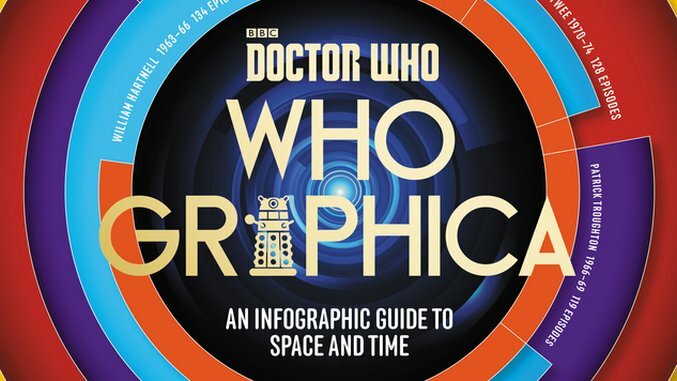 The book is divided into 12 sections, including The Doctor, Living History, Planet Earth, Daleks and Cyberman, Tardis and Time Lords, Companions, Gadgets and Weapons, Into the Future, and more. We’ve collected a few eye-catching infographics for you to browse in the gallery…just don’t blink. *And the 2016 Christmas Special, of course.